This is a home you will want to see! A beautiful 3-bedroom, 2-bath, 2 car-garage home, with a heated pool, on an over-sized lot, at the end of a cul-de-sac. The backyard is fenced for pets and privacy, nice landscaping, with a gazebo and storage shed. This 1931 sq. ft. home has been very well maintained, and has no carpeting...just ceramic tile and quality laminate flooring throughout. A few other features of the home include, stainless-steel appliances, granite counter tops, and walk-in closets for each of the bedrooms. The split bedroom floor plan gives privacy to your guests with access to the pool from 4 different rooms. The attached garage has an independent split A/C system along with screens for the overhead door. 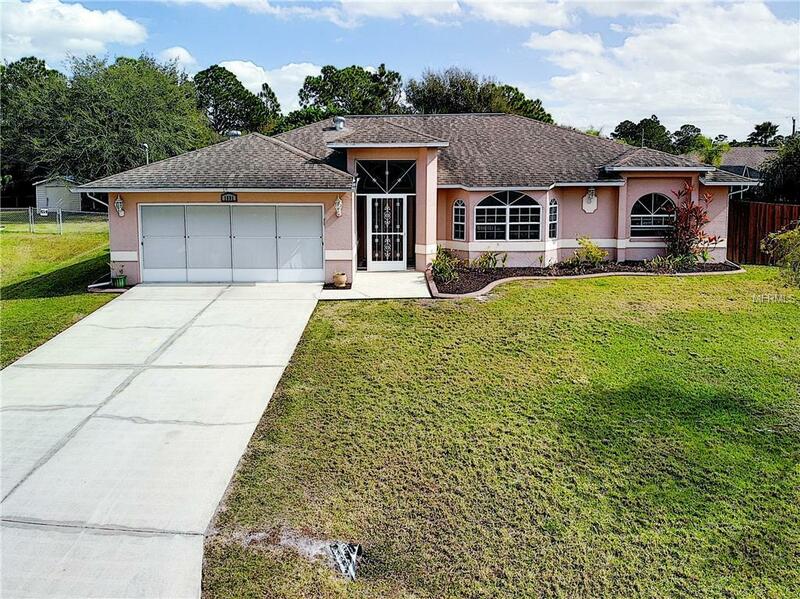 The home is located just minutes to Tamiami Trail, I-75, sandy beaches, shopping, restaurants, & schools. Call today for your private showing! Additional Lease Restrictions No Special Restrictions. Home is Not in An Hoa Or Deed Restricted Area.